Depart on a game viewer vehicle for some local island adventure! Pass through the Island’s many villages where you have the chance to encounter some of our local island communities. Along the way you can taste wild fruits from indigenous trees. Keep an eye out for the rich variety of reptiles, birds, and insects some of which are only found here. There is also the chance to see some of the large Nile crocodiles that live in the 3 lakes. On the “Wild Side” you can walk along the beach with its strong wind and waves coming in from the Mozambique Channel & Indian Ocean. Hike up Red Dune, an easy climb, for amazing views of Benguerra Island. Head towards picturesque Southpoint Beach. En-route our guides will talk to you about the island's flora and fauna, geomorphology and local culture. Southpoint is the most southern tip of Benguerra Island, the eastern side faces the Mozambique Channel/Indian Ocean with crashing waves whereas the west side has calmer more tranquil waters. The location is dramatic especially with the driftwood tree trunks that lie resting on the perfect white sand. Walk through the mini sand dunes and arrive at our swimming and beach picnic spot. We will set up a wonderful picnic lunch for you with refreshments and shade. 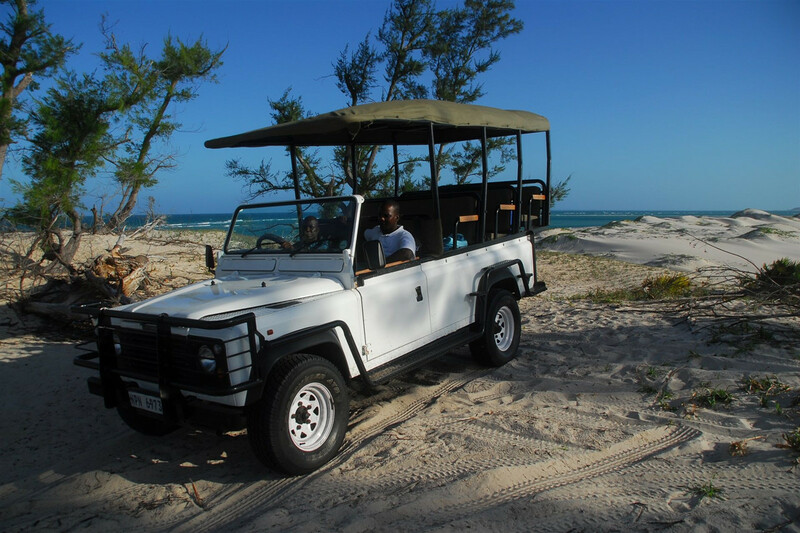 Welcome aboard Azura’s signature activity - a short hop to Bazaruto Island to hike up Bazaruto Dune for unsurpassed 360 degree panoramic views of the Archipelago. From here we often head to Two Mile Reef where there are hundreds of species of tropical fish, coral, rays, invertebrates, as well as the possibility of seeing various species of turtle, or humpback whales during their annual migration. Sightings of dolphin are common and if you are lucky, the highly endangered gentle giants, the dugong, may make an appearance too. After snorkelling, arrive at North Point for a tantalising picnic, and swim in the cool clear waters. 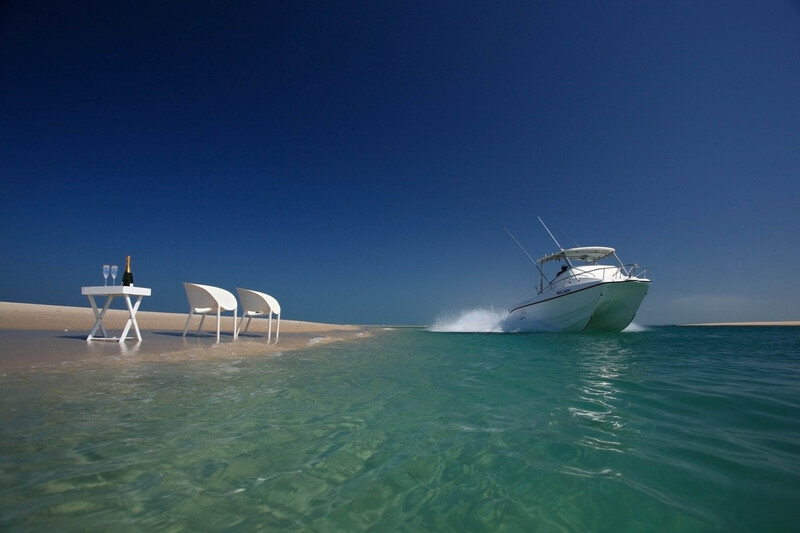 Depart Azura by speedboat for the 1 hour trip to Paradise Island in the far north of the Bazaruto Archipelago. Look out for dolphins and dugongs on the way. This island is home to a ruined hotel from the days of Portuguese rule, and was named Paradise Island for its beautiful white beaches and fantastic snorkelling. The ruins of the old hotel and church are fascinating and your guide will recount you the tales of yesteryear. 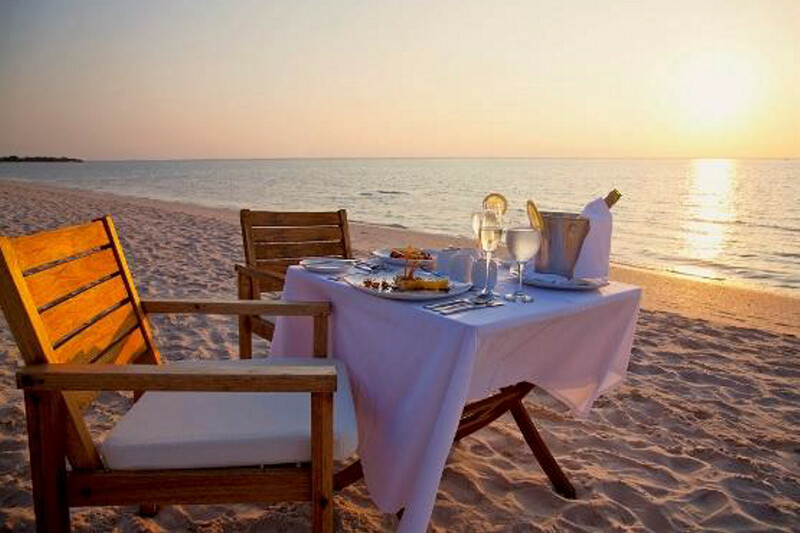 Then settle down on deserted white beaches for a picnic lunch. Relax for a few hours here, the snorkelling is amazing, but different to the reefs closer to Azura. 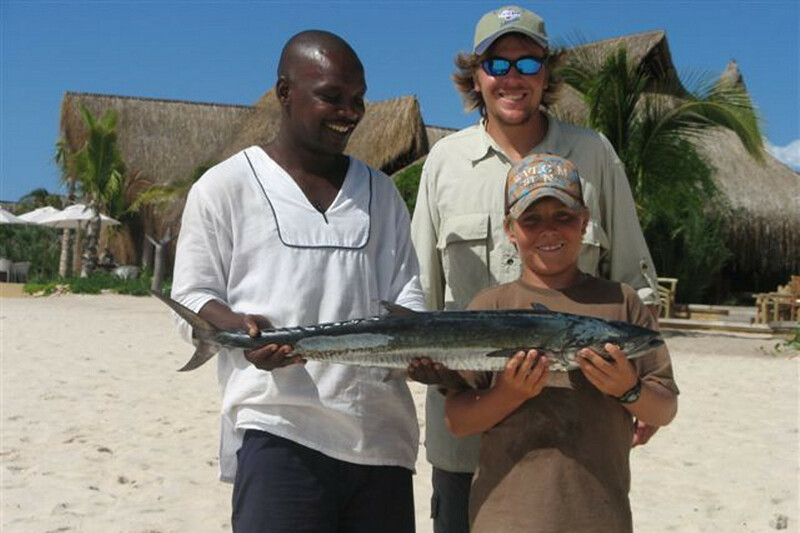 The Bazaruto Archipelago has some of the best big game, reef and bill fishing in the Indian Ocean. Species include: Marlin, Sailfish, Tuna/Bonito, King/Queen Mackerel, Prodigal Son, Wahoo, Dorado, and Barracuda. Giant Trevally (GT’s), the local specialty, often top the scales above 25kg. Azura caters for beginner and experienced fishermen/woman alike, and operates a strict tag and release policy on protected species. 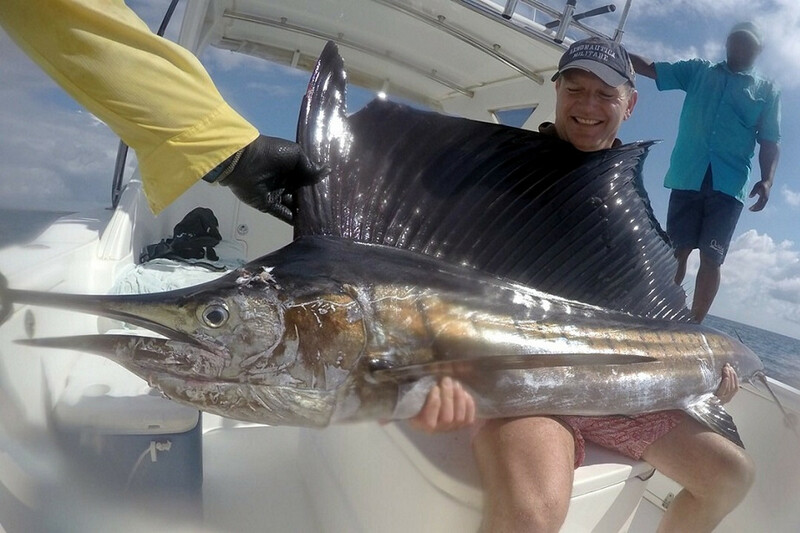 You can choose to go trolling, popping or jigging with one of Azura’s guides, or with an independent guide who offers fly fishing, jigging and popping. Fishing is extremely popular and should be booked well in advance. 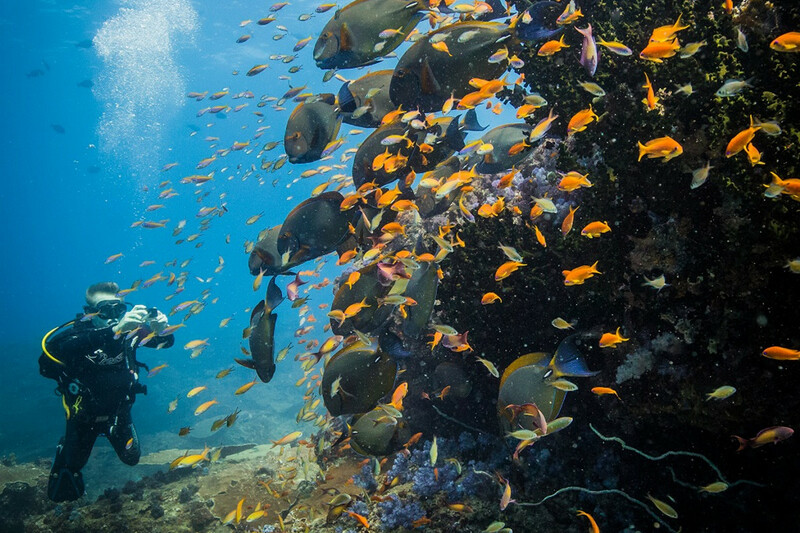 Our marine life and corals are often cited as the best off the East Coast of Africa. We have seasonal visits from whale sharks, manta rays and humpback whales and their calves, and we regularly see loggerhead, green and hawksbill turtles, reef sharks, stingrays, devil rays and moray eels as well as a variety of reef fish such as grouper, bat fish, surgeons, puffers, moorish idols, parrot fish, clown fish, trigger fish and chocolate dip fish. Hard and soft corals are in abundance, with Christmas tree anemones and nudibranchs for those who like to spot the smaller stuff! Azura has a PADI 5 Star Dive Centre with top of the range Scubapro equipment. Our training pool is perfect for refreshing your diving skills or even trying out snorkelling before you head off to the reefs. The Bazaruto Archipelago offers a range of depths and reef topography to suit beginner and experienced divers alike. 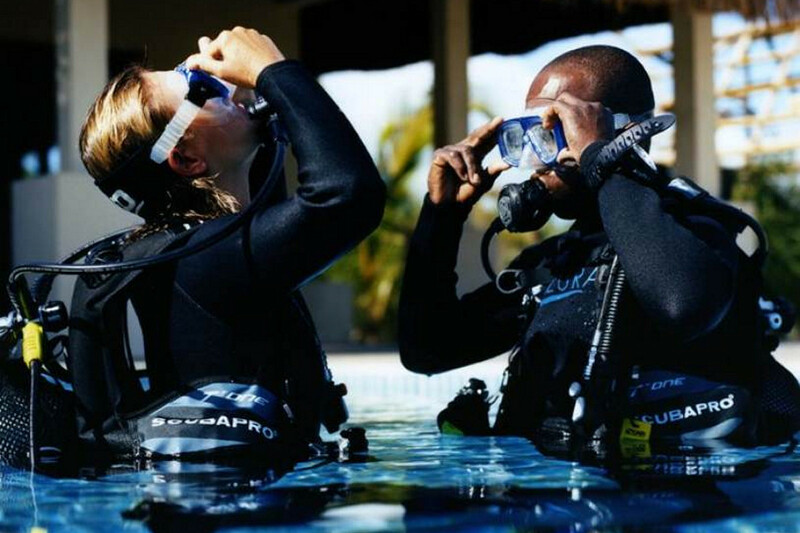 For training we offer a full range of courses and have a PADI Instructor. We highly recommend that you complete the theory portion of your course at home, before your holiday. That way, you’re ready to start diving as soon as you arrive and will get to spend more time exploring the waters around the island. Azura is also a DAN (Diver’s Alert Network) Business Member which entitles all divers doing entry level courses to basic dive insurance coverage. For those who like to ride, a trek along the water’s edge on the horses based on Benguerra Island and back along some of the island’s tracks and trails is an experience never to forget! There is also an option to go swimming with the horses following the ride. There are 9 horses available to suit all levels, from complete beginner upwards. 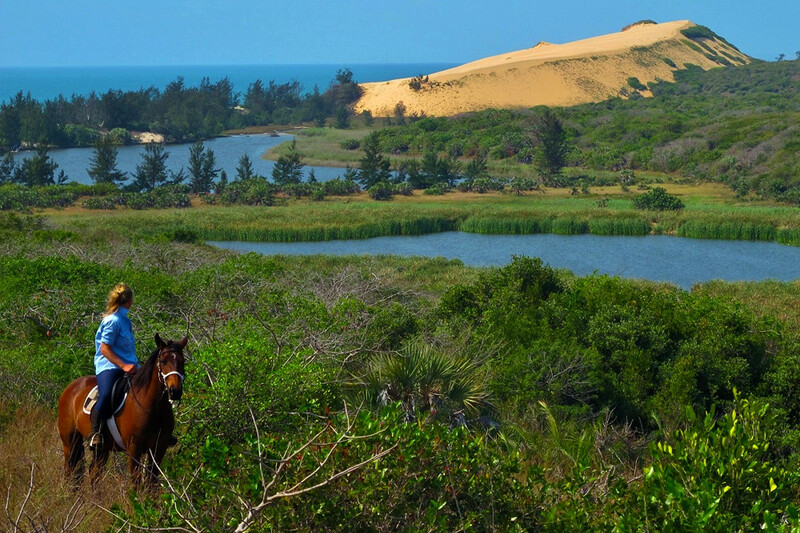 Please note that this activity is conducted by Mozambique Horse Safaris and is a third party company. The whole of Africa is soccer mad. 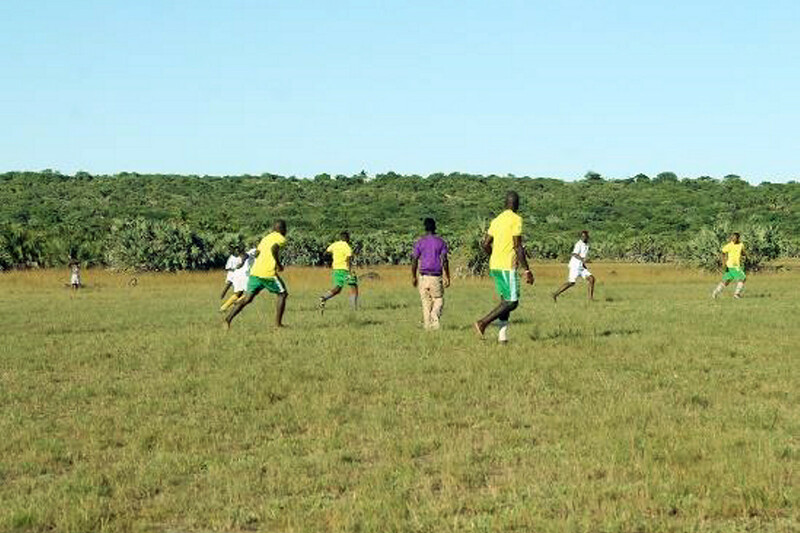 Here on Benguerra Island we have an Island League made up of teams from the lodges and local island teams. This is a really important event amongst the local community and great pride is at stake. Come and support Azura’s soccer team at one of their matches on the weekend, normally on a Sunday afternoon. We will set up a tent with refreshments, and if you fancy it you can even join in the game! It’s great entertainment for all. Azura Staff are creative souls. Your host will set up a private dinner on the beach in front of your villa, surrounded by candles arranged in the sand. Alternatively you can choose to have this candle-lit dinner on your deck or beneath your sala. They normally like to do it on guests last night at Azura but if you would prefer to do it another day please discuss this with your host. We offer the first of these included with your stay, but for a small additional cost you can do it again or upgrade to a seafood barbecue and we’ll cook fresh seafood in front of you while you sit under African skies! 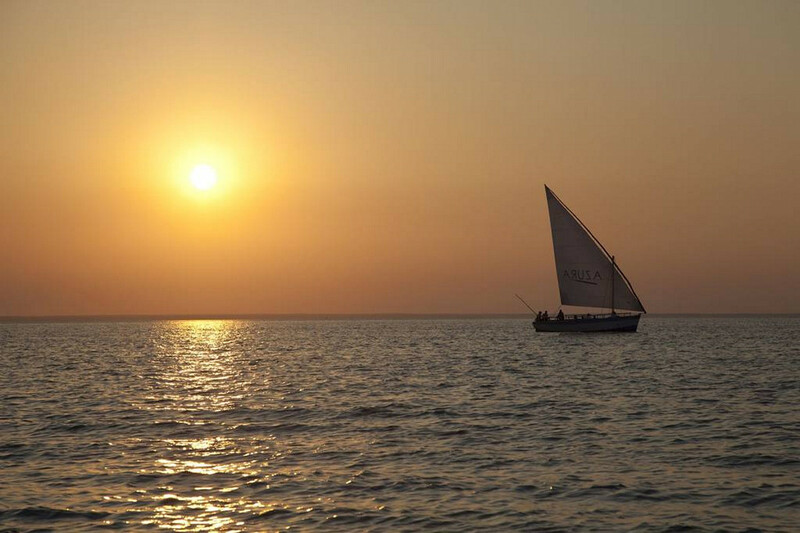 Experience a sunset dhow cruise, or have one of our guides lead you on a dune climb. Island hop and visit Pansy Island for lunch, or be dropped on the sandpit at Benguerra North point with a picnic lunch. 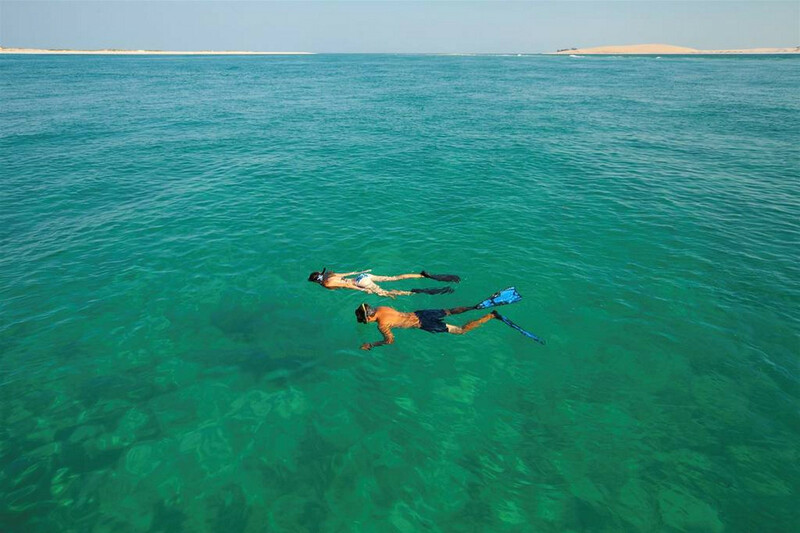 Alternatively take to the water for a guided snorkeling safari, or go out whale watching in season. All activities are subject to weather and tidal conditions as well as boat, Land Rover and guide availability. Children and teens at Azura will be spoilt for choice when it comes to spending time here with us. We offer a host of activities for kiddies to participate in, supervised by Azura’s guides, hosts and activity coordinators. Children can enjoy seeing interesting marine life above and below the water, search for pansy shells on an island that appears at low tide, experience cultural encounters, climb dunes, look for crocodiles (from a safe distance), taste the island’s fruits and learn a new skill or two.